According to Psychology.com, bereavement is: the process of grieving and letting go of a loved one who has died. Talk to anyone who has lost a loved one and they will tell you the author of this definition has no idea what they are talking about. There is no timeframe on “getting over” the loss of a loved one, regardless of whether it was sudden or a terminal illness. In fact, from my personal experience, the actual death isn’t what is hardest to deal with – it is the whole first year as you and your family go through the “firsts”: first birthday, first holiday, first family gathering without them. And if you are the family member tasked with handling the “business” associated with the death (paperwork, life insurance, funeral arrangements, financial issues, selling the house, etc. ), you don’t have the time to start grieving when your loved one has passed – you have too many details to attend to. For you, that probably doesn’t start until at least 3 months later when the tasks have been handled and your own shock over their death has finally settled in. Denial, numbness, and shock: This stage serves to protect the individual from experiencing the intensity of the loss. It may be useful when the grieving person must take action (for example, making funeral arrangements). Numbness is a normal reaction to an immediate loss and should not be confused with “lack of caring.” As the individual slowly acknowledges the impact of the loss, denial and disbelief will diminish. Bargaining: This stage may involve persistent thoughts about what could have been done to prevent the loss. People can become preoccupied about ways that things could have been better. If this stage is not properly resolved, intense feelings of remorse or guilt may interfere with the healing process. Depression: This stage of grief occurs in some people after they realize the true extent of the loss. Signs of depression may include sleep and appetite disturbances, a lack of energy and concentration, and crying spells. A person may feel loneliness, emptiness, isolation, and self-pity. Anger: This reaction usually occurs when an individual feels helpless and powerless. Anger can stem from a feeling of abandonment through a loved one’s death. An individual may be angry at a higher power or toward life in general. Acceptance: In time, an individual may be able to come to terms with various feelings and accept the fact that the loss has occurred. Healing can begin once the loss becomes integrated into the individual’s set of life experiences. Is bereavement leave a required of private-sector employers? In the past, the answer would have been a quick “no.” Bereavement Leave is not a requirement and not mandated by Federal law so employers don’t “have” to do it. However, in 2014, Oregon became the first state to amend its state Family Leave Act to require that Oregon employers with more than 25 employees provide bereavement leave and allowing qualified employees to take up to 2 weeks leave. 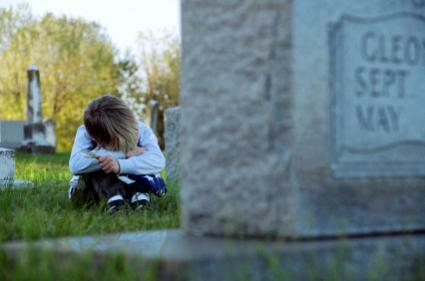 There was a bill was introduced to Congress in 2013 – called the Parental Bereavement Act – which would have amended the Family Medical Leave Act to include up to 12 weeks time off, however it never made it out of committee. Check you Employee Handbook to see if your company has a policy addressing bereavement leave or not. Many employees just assume their company will because it is so commonplace. While many larger corporations will have some sort of formalized policy, smaller businesses may not. In most workplaces, Bereavement Leave typically allows a full-time employee to receive paid leave (normally up to only 3 days) due to of the death of a close relative – usually immediate family. In some cases, the leave will include close friends and associates as well. Employees are allowed up to three consecutive days off from regularly scheduled duty with regular pay in the event of the death of the employee’s spouse, child, father, father-in-law, mother, mother-in-law, son-in-law, daughter-in-law, brother, sister, stepfather, stepmother, stepbrother, stepsister, stepson or stepdaughter. To be eligible for paid bereavement leave, the employee generally must attend the funeral of the deceased relative. Employees are allowed one day off from regular scheduled duty with regular pay in the event of death of the employee’s brother-in-law, sister-in-law, aunt, uncle, grandparent, grandchild or spouse’s grandparent. To be eligible for paid bereavement leave, the employee generally must attend the funeral of the deceased relative. Employees are allowed up to four hours of bereavement leave to attend the funeral of a fellow regular employee or retiree of the company, provided such absence from duty will not interfere with normal operations of the company. Does an employer’s “bereavement policy” only have to cover paid days off? No – there are other ways that an employer can help or accommodate an employee who has lost a loved one and is either still grieving or still dealing with the stress of the paperwork involved. Include “grief counseling” as part of your Employee Assistance Program– Check with your health insurance carrier to see if it is already an option included in your health plan. If not, they should be able to provide referrals using their insurance for the employee to use. Many employees may need the help of a counselor during this time but either are afraid to talk to someone or don’t know who to talk to. Offering them information on how to go about setting up a phone call or in-person appointment is one less thing they have to think about and will actually consider if the leg work has already been done for them. Allow flex time into their schedule – There may be many things that need to be attended to following the death of a loved one that does not require taking an entire day off. Let them know that, will some notice, leaving early or coming into work late is acceptable. Especially the first couple of weeks after their loved ones death, some flexibility will be greatly appreciated and help them re-adjust back to a “normal” work schedule much easier. If your workplace doesn’t have a bereavement policy, well….why not? A Bereavement Policy is one of those benefits that your employees don’t look for until it comes a time when they need it. By putting together a formal policy, it helps give individual managers some guidelines to use when one of their employees is faced with this situation and helps ensure that all your employees will be treated the same. Will there be some special exceptions made from time to time? Probably, but having a policy (a.k.a “game plan”) will help minimize those situations when they arise. Previous post#HRHorrorStories – Day 5 – And The Award Goes To….